San Francisco: Electric carmaker Tesla posted another quarter of higher earnings on Wednesday but fell short of expectations after announcing another round of job cuts earlier in the month. While the trendsetting auto company said it expects production of its less-expensive Model 3 to “grow substantially” this year, it was under pressure from growing competition and hiccups at its factory. Total revenues rose to $7.23 billion (Dh26.6 billion) in the fourth quarter, beating expectations, but earnings per share fell short at $1.93. Profit jump to $139.58 million after a loss of $675.35 million in the same period of 2017, which helped to lower the total loss for last year to $976 million, according to the report. 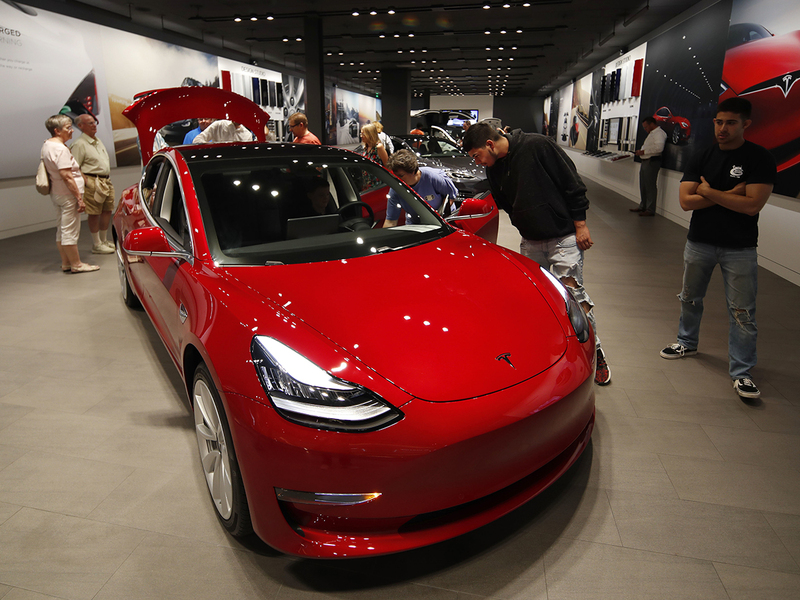 The company announced this month it would cut seven percent of its workforce in a push to lower the price of its Model 3 to keep it affordable, especially as US subsidies for electric cars are phased out. However, the company was upbeat about its output of the more affordable model. “Model 3 production volumes in Fremont should gradually continue to grow throughout 2019 and reach a sustained rate of 7,000 units per week by the end of the year,” the company said. The carmaker’s share price jumped 3.8 percent prior to the release of the earnings report, after which it fell slightly in after-hours trading.